Creative patterns from a talented designer. 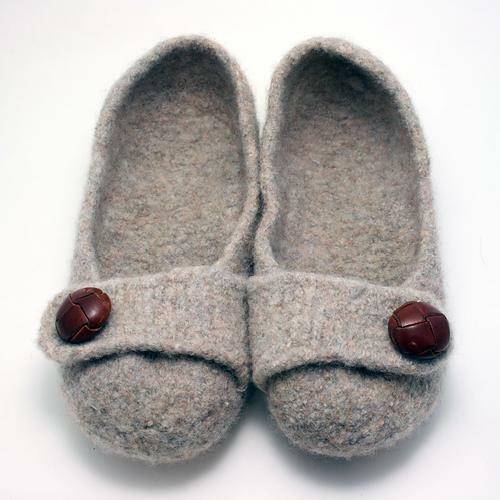 Knit these great slippers, then felt them in your washing machine! The pattern is written with lots of details, sizes S, M and L options.